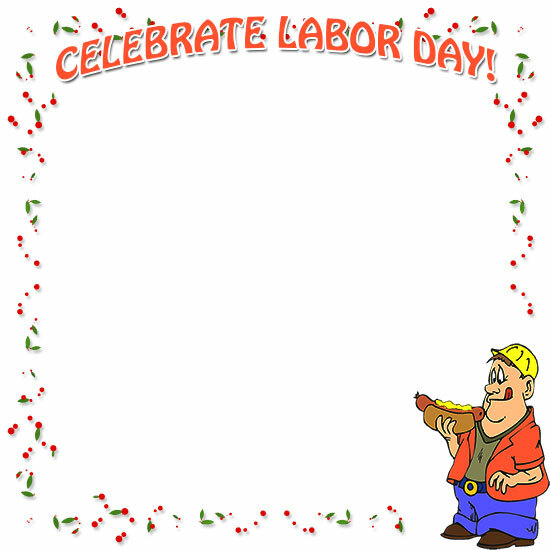 Printable borders and frames celebrating Labor Day and the people that do the work. Celebrate Labor Day with the king of foods. Happy Labor Day with female construction worker. 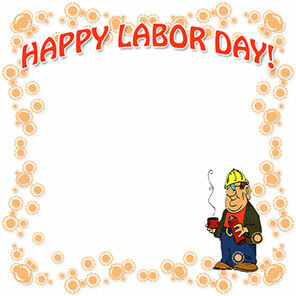 Happy Labor Day with an industrial worker. 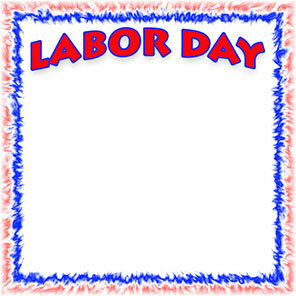 Happy Labor Day frame in red, white and blue. 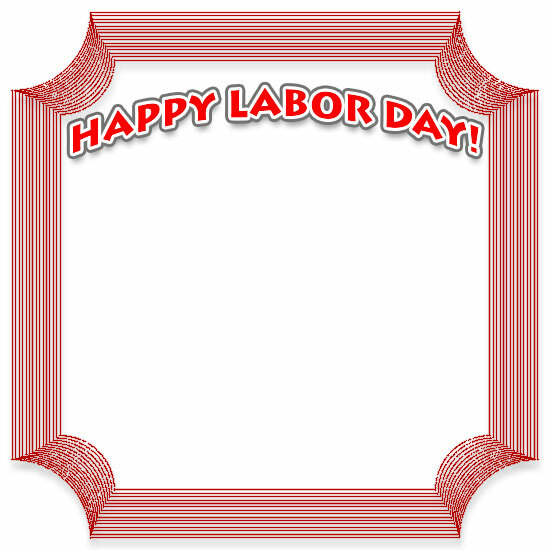 Frame with Happy Labor Day! 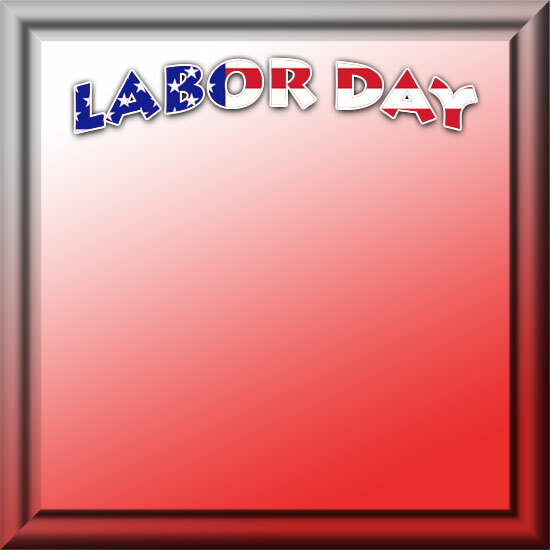 It's Labor Day with a star frame and a young worker. Labor Day Party for all us hard workers. 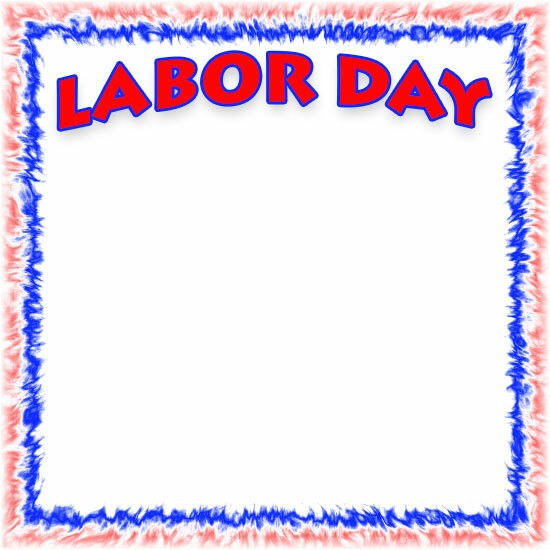 Labor Day on white with a red and blue frame. Happy Labor Day with couple on the beach. Picture has a white overlay so any dark text or content can be added. Even on top of what looks like black shorts or dark hair. 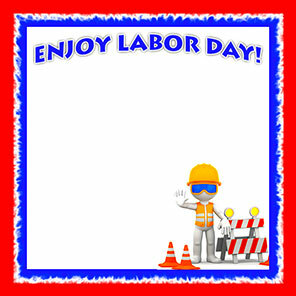 Stop and Enjoy Labor Day! 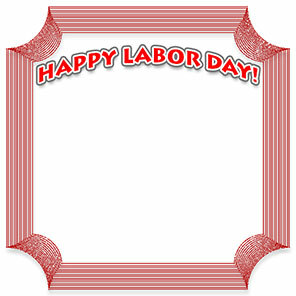 Frame with Labor Day in red, white and blue. 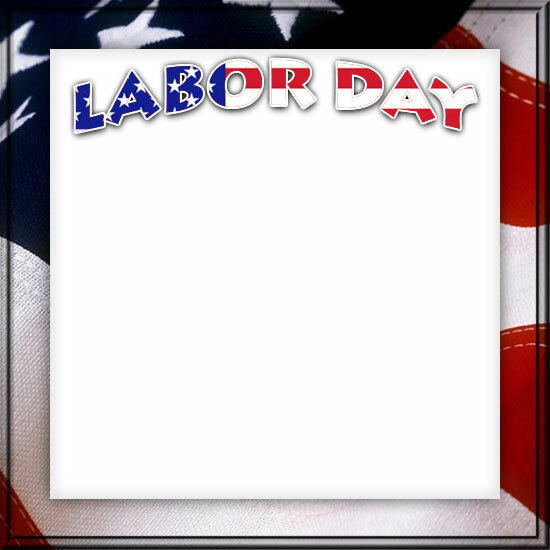 Labor Day with an American Flag border. 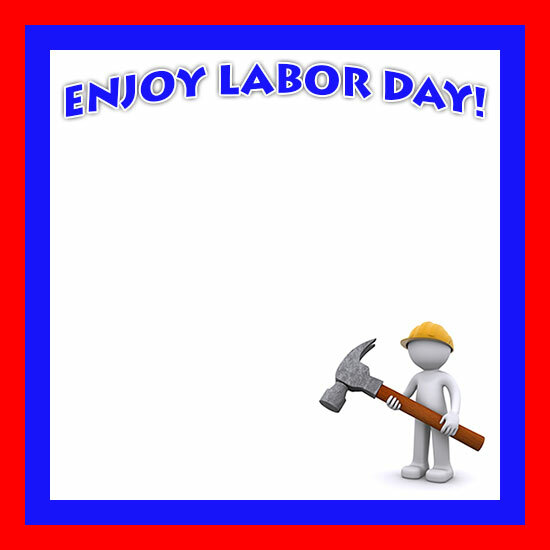 Hard worker wants you to Enjoy Labor Day! 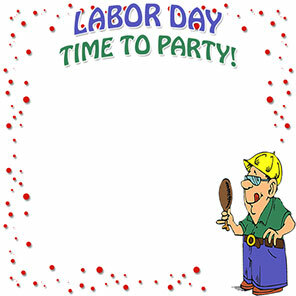 It's Labor Day and you know what that means - Time To Party! 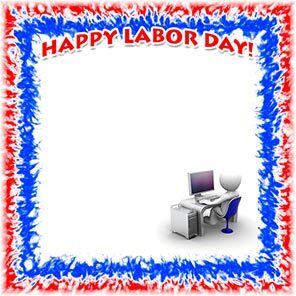 Happy Labor Day with office worker at desk. Happy Labor Day with office workers. The lower part was designed for new content although dark text will work over the entire border. Nothing better than burning a hotdog outdoors - Happy Labor Day! Happy Labor Day from a hard working office. Labor Day border with Happy Labor Day and a hard worker. Happy Labor Day with hard working man. If you save and use our free Labor Day border clip art please give us credit. Thank you. Of course, that doesn't apply for personal print use. You may use our Labor Day borders on your personal or educational websites and other personal projects such as print. 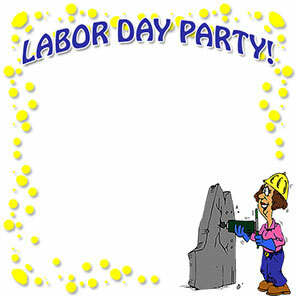 Picture borders, design, flowers, workers, party, border clip art.